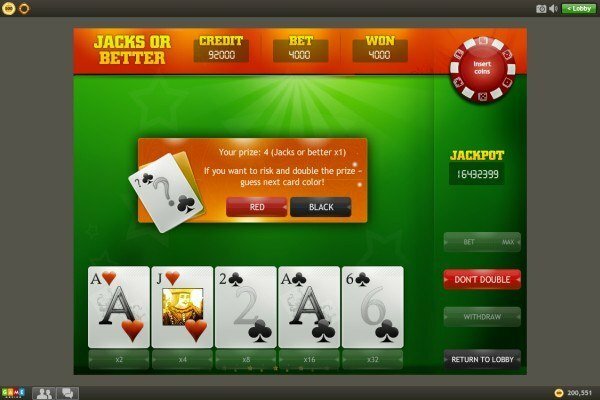 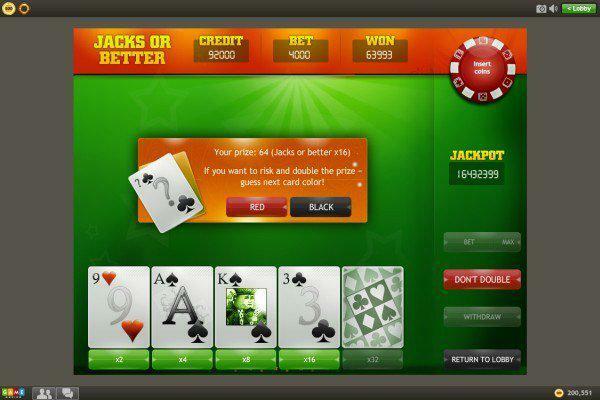 The Jackpot is awarded for making a "Royal flush" (A, K, Q, J, 10 of the same suit) without drawing any cards. 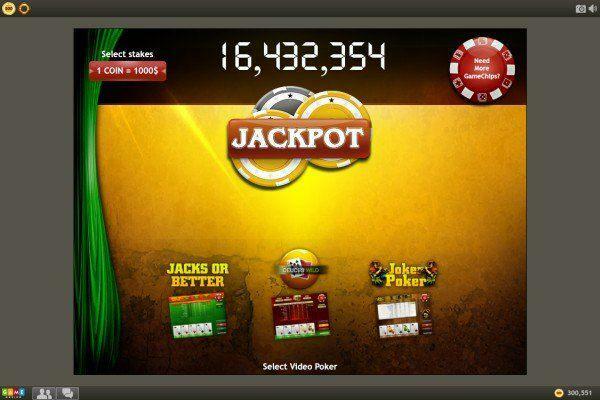 Hands using ‘wildcards’ don't count towards this jackpot. 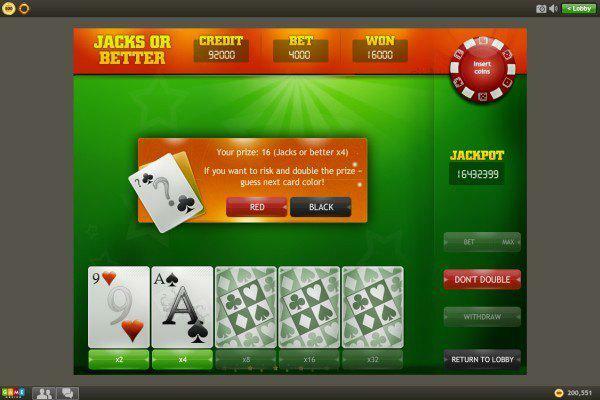 18 018 825 GameChips to win!